Home › Budgeting Tools › Status Money Review – Compare Your Wealth! 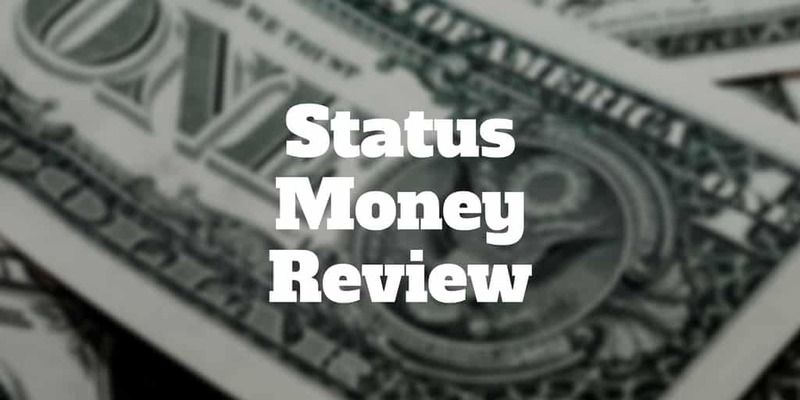 Status Money Review – Compare Your Wealth! If you ever wondered how you were doing financially compared to your peers, Status Money, aka Status, can provide you with insights related to your net worth, spending, debt, and income levels. Unlike most budgeting apps that help you to track your individual income and spending patterns, Status aggregates data from all users to provide peer comparisons without compromising the privacy of any user. Previously if you wanted to compare your wealth, you were restricted to sites like Glassdoor, which provides salary comparisons. What makes Status different is that you can see how much you spend in various categories compared to people in your age group and area. You also get to see a breakdown of your mortgage, credit card, and student loan debt and how it fares relative to others. Plus, you can view your credit score free without hurting it because a soft check (as opposed to a hard credit check) is performed. We found few budgeting tools to be as easy to use, polished, and insightful as Status. Mint, YNAB, and Personal Capital have a new serious competitor. Is Status Right For You? What Can Status Do For You? Status is a personal finance management company designed to help you manage your finances using the wisdom of the crowd. That’s a fancy way of saying it gathers financial information from you and others to better understand averages among your peers. So, if you wanted to know whether you are saving more money than people of a similar age, making more or less, and shouldering more or less debt, Status can tell you. Status syncs with your TransUnion® credit file too so you can anonymously compare not only your finances with millions of others but also identify how your credit ranks. Low credit scores can translate into higher interest rate payments on borrowings so Status also helps you to learn how to boost your creditworthiness in order to be viewed more favorably by lenders. Having been founded by two data scientists, Majd Maksad and Korash Hernandez, it is no surprise that Status does an excellent job crunching through massive amounts of financial data to provide you with insights in natural language to help you easily find opportunities to save money. And best of all, it’s 100% free! Many budgeting apps are excellent at helping you to manage your individual finances. You can quickly discover how much you have spent on rent, groceries, and entertainment as a percentage of your income. You can also find out how much debt you have relative to your salary. And you can spot spending irregularities and plan for spikes in spending, like birthdays and vacations. But you can’t see how your finances compare to those of other people. Knowing what other people pay is more than a voyeuristic thrill. You may be overpaying for financial services and waste money unnecessarily by paying higher interest rates, and hidden fees, which you could more quickly identify by comparing your financial habits to those of your peers. 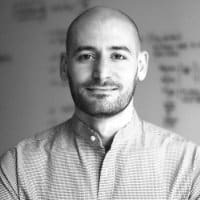 Founder and CEO of Status Money, Majd Maksad stated that “most people don’t track their own interest rates and don’t know if their interest rates are competitive compared with other people” so Status can help by showing you if you are earning low interest rates on savings or paying too much when servicing debt. Status can apply to anyone regardless of income level or spending preferences. It aims to help everyone save money by gathering insights from all its users. Status pools financial data and securely reveals to you how your finances compare to those of anonymous people like you who have a similar age, live in the same city, earn a similar income, and have similar housing situations and credit scores. For example, you can find out if you are spending more at restaurants or paying higher interest rates as people with similar income levels. You can quickly see if you are earning less than your peers too. You can even create custom groups to compare the cost of living in different cities and see how much homeowners in your city are paying in mortgage costs. A visual feature we found especially valuable is how wealth is distributed across the U.S. so, for example, someone with a net worth of $50,000 will discover that they rank in the top quarter of all Americans (they are better off than 77% of Americans). If you are in the top 1% of Americans by wealth, Status may not be especially valuable to you but as a personal financial management tool for most everyone else, Status is well worth exploring. Getting started with Status is fast and simple. It begins by creating a username and password, and is followed by entering information related to your financial accounts. We found it fast and simple to enter multiple bank accounts simultaneously. Security is a top priority for Status, who claim to use bank level security protocols, such as encrypting user data. Status uses Yodlee (a top tier third party) to aggregate data and TransUnion® to verify your identity. Once you sign into the platform, you will see a dashboard that compares your finances to those of your peers and national averages. You can even create custom groups to compare your financial situation to a specific target group whose age, location, credit score, housing situation, and income you can specify. The dashboard is visually appealing and easy to follow. You get to see immediately your net worth, your national ranking, and opportunities to improve your financials. Paying too much in bank fees? Status will inform you right away! Next, you will see how your spending looks over the past month and how it compares to peer averages. In each step, you are prompted to learn more and improve upon your financial situation. For example, you can see how your credit card spending compares to people like you as well as to national averages. Status provides comparisons on how you your debts and assets compare too. Similarly, your net worth and credit score are visually displayed. You don’t need to be a W-2 salaried employee to take advantage of Status. If you earn interest on savings or dividends from investments, Status is smart enough to combine all your income streams. We tried to fool Status by entering an incorrect income level but its algorithms spotted the attempt and informed us that our input salary did not match bank account data. While this may seem like a trivial item, it is valuable in particular to retirees who may assume a combined income each year that is higher than their true incomes. For example, if a company lowers or cuts its dividend payments, you may not know about the change unless you closely track your investments but Status would reveal that your true income is lower than your estimated income which would alert you that you need to investigate further. Status goes a step further than most budgeting apps also. It forecasts future spending and income patterns by analyzing past data. This can be helpful in anticipating spikes in spending that hit your bank balance infrequently, such as birthday gifts or vacations. Like other budgeting apps, such as Personal Capital and Mint, Status will also break down your spending into categories so you have greater insight into how and where you are allocating your money. Like Mint, Status will notify you when you exceed a threshold level of spending for a particulate category. For example, if you want to allocate $500 to spending on groceries in the month, Status will alert you if you go over budget. This can be helpful to reign in spending in another category. For example, you might have a $200 entertainment budget that you could reduce for the month so you remain on track with your overall budget. As a salaried employee, it may be difficult to exercise much control over your income but that shouldn’t stop you from setting income goals to target a raise or a bonus at work. If you are a self-employed worker, you could more easily target higher income goals by modifying your work schedule or perhaps taking on some extra work. Companies keep track of their assets and liabilities on balance sheets and so too can you keep track of what you own and owe on a personal balance sheet. Status buckets all your cash reserves into a single item called Assets alongside any homes, cars, or investments you own. So too will Status lump your student, mortgage, and personal loans into a single grouping called Debts alongside any credit card debt. By combining your assets and debts, you can quickly see your personal balance sheet which allows you to target lower debt and boost assets. ✅ Free To Use: Like Mint, Status is 100% free to use and makes money by referring you to relevant ad offers that can save you money. ❌ Investment Tracking: Unlike Personal Capital, Status does not provide investment tracking so to stay on top of your IRA, you will need to look elsewhere. ✅ Peer Comparison: Unlike other budgeting apps, Status uses “big data” to compare your financial situation to those of your peers, thereby helping you to identify ways to save money. ❌ Bill Payment: If you want to avoid the hassle of logging into multiple accounts to pay your bills monthly, Mint is a better solution because it caters to bill payments from a single dashboard unlike Status. ✅ Savings Nudges: When you are paying too much in interest charges, bank fees, or other items, Status will nudge you towards different products to lower or eliminate unnecessary costs. ❌ Mobile Access: Status is currently optimized for web-access and is clunky to navigate from mobile devices. ✅ Ways To Increase Income: If you are sitting on a bunch of cash or in low-interest CDs, Status will spotlight the opportunity cost and suggest ways to boost your income. ❌ Limited Customization: Where YNAB does an excellent job letting you modify transactions with customized labeling, Status restricts what you can do manually which may be frustrating to detail-oriented users. ✅ Dashboard View: All your financial accounts are in one online dashboard that we found easy to use. ✅ Income Alerts: It is simple to set goals that trigger alerts to notify you when you have exceeded spending limits. ✅ Personal Balance Sheet: As part of the main dashboard, you can view your combined assets and debts, and easily click to view more details. ✅ Net Worth: You can view your overall net worth and compare it to that of your peers instantly. ✅ Free Credit Score: As part of its free service, Status Money lets you view your credit score from TransUnion® without it affecting your credit score. ✅ Set Custom Comparison Groups: It is simple to create a custom group by age, location, and income to see how you compare financially to a specific cohort. ✅ Privacy & Anonymity: Although Status uses information from large numbers of people to share insights into key personal financial metrics, your own information is anonymized to preserve your privacy. ✅ Security: Status uses bank level security and encryption to keep your personal information safe and secure. Status was founded by Majd Maksad and Korash Hernandez. 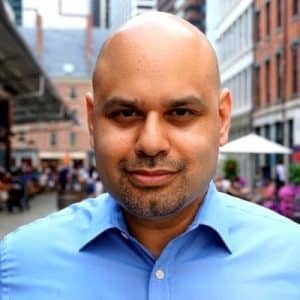 Status CEO Majd Maksad was formerly the Head of Decision Management for Citi Global Digital Payments while Status COO, Korash Hernandez, was formerly a Vice President at Goldman Sachs. Having been founded in New York in 2016, the team is still small but during our research we found team members came from top tier Fintech companies, such as On Deck. Status Money is unique among budgeting tools by providing insights to users on how they compare financially to peers and national averages. If you ever wondered how your net worth compared to others, now you can find out free because Status charges nothing. Instead, you will be referred towards relevant product offers that may save you money. Like some other leading budgeting apps, Status helps you to budget smarter by setting income goals, alerting you when spending limits are exceeded, and tracking what you own and owe. Where Status falls short of a perfect score is its lack of investment tracking (Personal Capital shines in this area) and bill payment functionality (where Mint is best). Plus, it lacks some of the customization available at You Need A Budget. 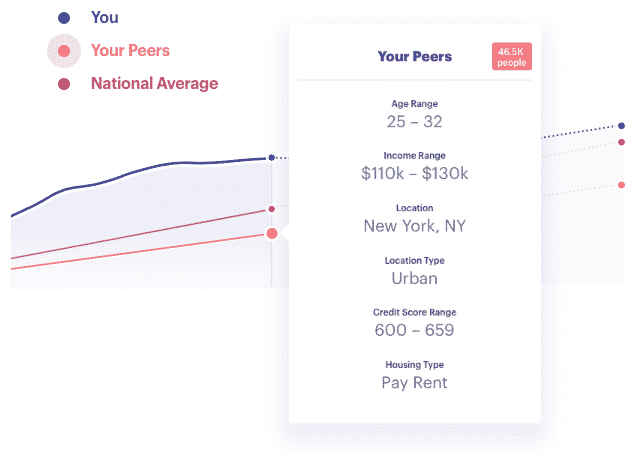 What Status does better than its rivals is provide data insights relative to people like you so you can better assess how you are doing relative to peers who are the same age, earning a similar income, and living in the same area as you. As a free tool that doesn’t ding your credit score when you sign up, Status is well worth checking out. ‹ Personal Capital vs Mint: What Is The Best Personal Finance Tool?